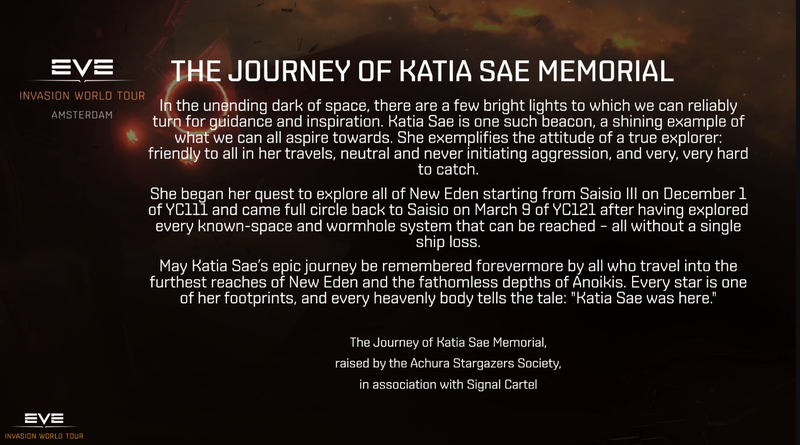 Earlier this month Katia Sae announced in a blog post that she had finished her nearly decade long mission. 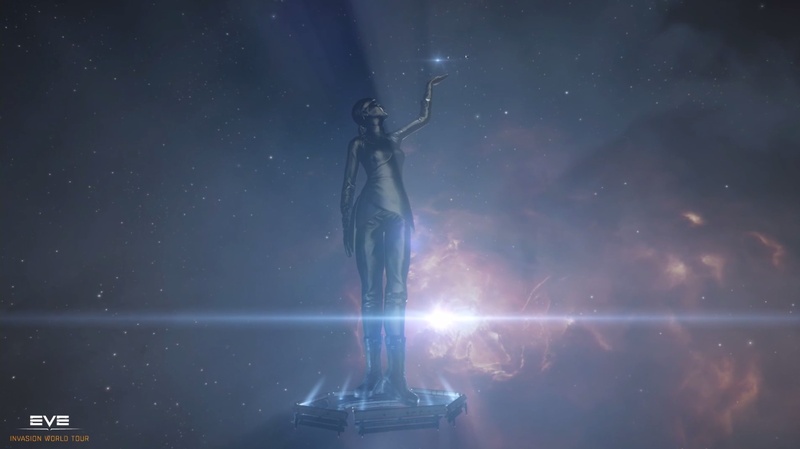 Starting from back in December 2009, and flying a variety of ships, she had successfully navigated into each and every one of the 7,805 player accessible systems in EVE Online without losing any of her rides. High sec, low sec, null sec, and wormhole space, she had visited them all. Signal Cartel, her corporation, put out a press release immediately to help spread the news. And word did spread as congratulations for her achievement came from all quarters of New Eden, including from CCP. Last week CCP brought her to Polaris, the CCP home system in never unlocked Jove space, bringing her system count up to 7,806. She also received recognition elsewhere. 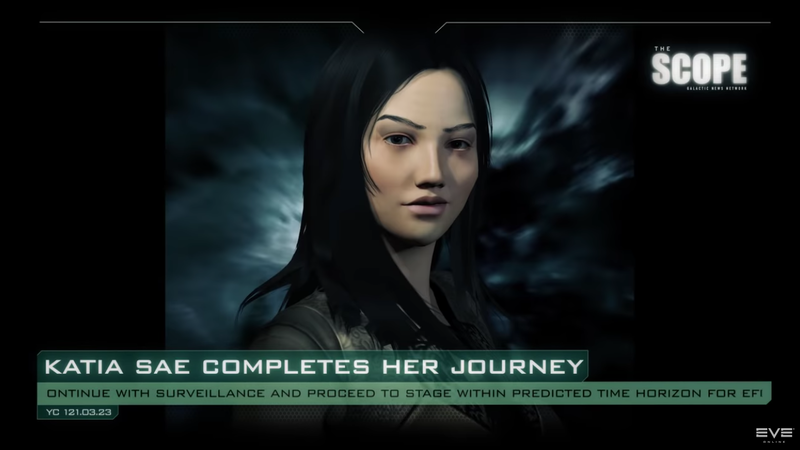 Her achievement popped up at about the 3:15 mark in the ticker of a video from The Scope concerning the Triglavian takeover of CONCORD billboards in New Eden. She was also mentioned at about the 4:18 mark during the EVE Pulse episode of March 15 and was a guest on the March 10 episode of Talking in Stations. But the big moment came at EVEsterdam when a new episode of The Scope was first aired. 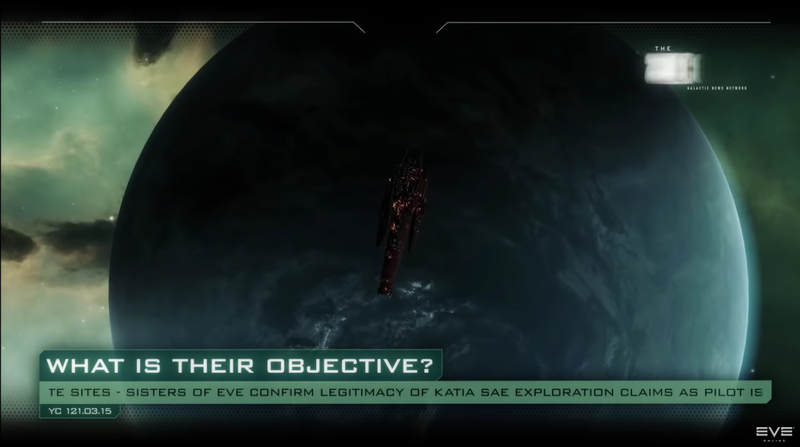 The initial focus was again on the Triglavians and their message to New Eden, but follows on with Katia Sae at the 1:35 mark. 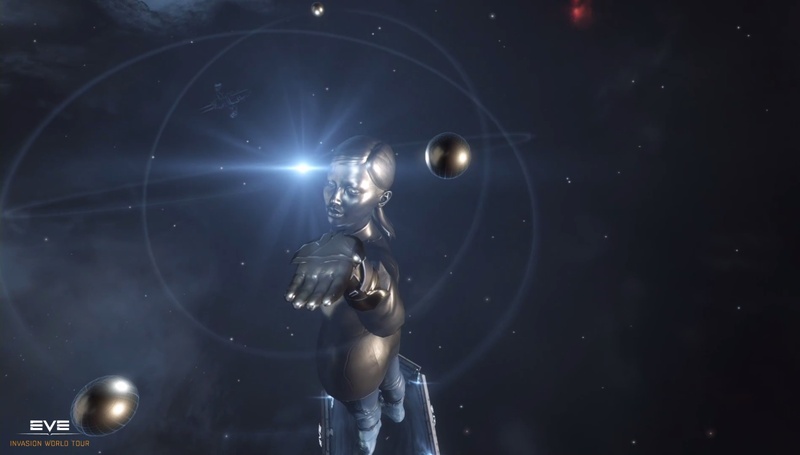 There it was announced that the Acura Stargazer Society had commissioned a statue of her to be raised in her home system of Saisio at the Abagawa gate, where the first jump of her journey took place. During the presentation by CCP Fozzie at day one of EVEsterdam he stated that the monument was approximately the size Mount Everest, making it bigger than the gate near which it will reside. He also pointed out that the solar system in Katia’s upraised hand has a just visible cloaked Astero in amongst the planets, a nod to one of the ships she used during the journey. The inscription on the monument will read as follows. The monument should appear on the test server soon and will be live on Tranquility with the April update. I am given to understand that this will get Mark762 to add a new entry to his EVE Travel blog. So there it is, somebody setting off on their own in the sandbox with a goal and a dream being recognized. Congratulations to Katia Sae. I just wonder if CCP updated her Activity Tracker, since that only counts system visits since November of last year. If not, there is room for somebody to complete that. I don’t think you’ll get a monument, but maybe you’ll get a shout out. 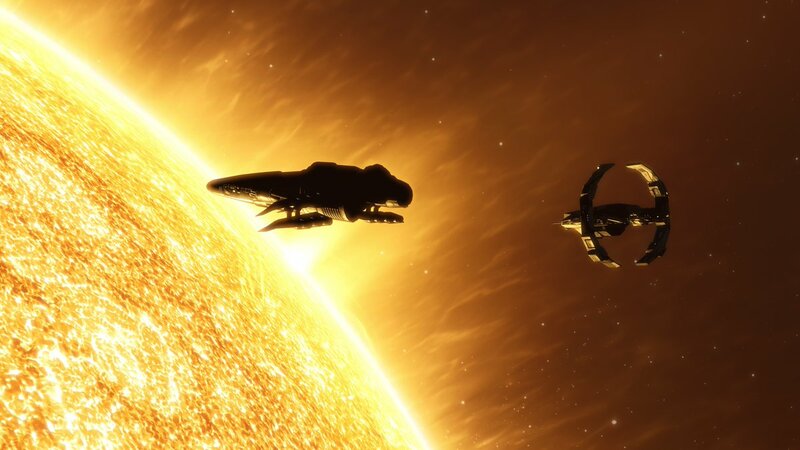 This entry was posted in entertainment, EVE Online and tagged CCP, Exploration, Katia Sae, Signal Cartel, The Scope on March 24, 2019 by Wilhelm Arcturus. Thanks so much for this! Really appreciate it and I’m still blown away by it all. To answer your question, Falcon mentioned during my Polaris tour that he was checking to see if the activity tracker could be updated. He made no promises, which I understand that, so no worries either way. I’m good with it. Was the goal to explore it all without losing a ship, or just to explore it all? Because if its to do so without losing a ship, would the mission have ended on an unfortunate loss? That is a pretty awesome achievement and the not dying part makes it a truly epic achievement. Definately worthy of a monument bigger as Mount Everest.